This is a follow up to a post I did last year about a guy getting jammed up with hotel staff for having firearms on property [CLICK HERE]. But this time, I’m in a 3 star hotel. I assume it was anyway. Certainly not a 5, but I digress. Checking in: I walked straight through the lobby with this drag bag over my shoulder. Nobody gave it a second glance. And nobody saw it again until I walked out with it the next morning. 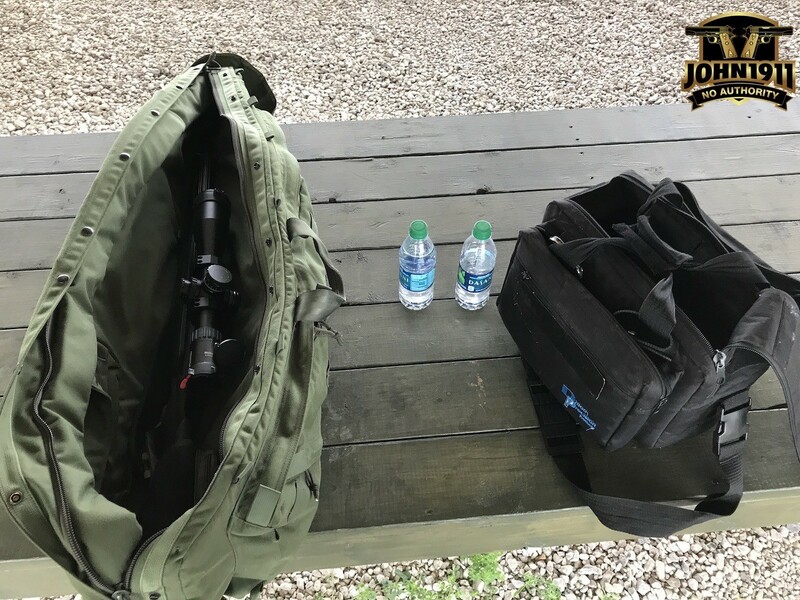 Drag bag at range. Blaser R8. 243win Heavy Weight Match Barrel, Steiner 25x optic, Neopod bi-pod, etc. Why did I bring the rifle inside? A few reasons. One, it’s worth quite a bit more than the PTR Truck gun that usually resides onboard. Two, I wasn’t totally happy with where I would have to park my truck at this hotel. The parking lot was busy and, “Around back by the dumpster” just didn’t seem optimal. So…I made a command decision. Checking out: on egress I rode the elevator down with hotel staff. And we were packed in there tight. Once out, the lower level was very busy with foot traffic and breakfast goers. 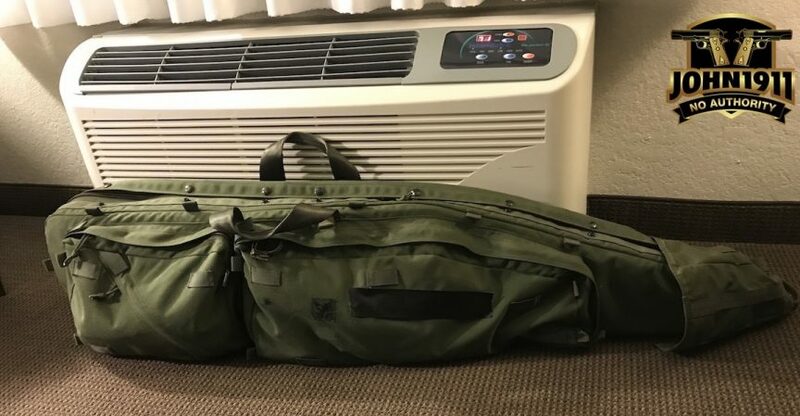 Is it optimal or preferred to walk around a hotel with a freaking drag bag over your shoulder? Not only no, but hell no! But in the real world, a lot of people either don’t see things for what they are. Or fixate more on the energy of the people around them. Drag bag on hotel floor. Was hidden behind bed. Could have easily been placed in the closet. No big deal. Botton line: Don’t unnecessarily push your luck. But in a pinch, if you act like you know where you are going, and seem like you have somewhere to go, and aren’t yelling, “Aloha Snack bar” most people won’t give you a second look.